Yamaha Fascino Miss Diva, a national beauty pageant in India that annually selects representatives to participate in various international beauty pageants is soon going to start scouting for India’s next Diva. Since 2013, Yamaha Fascino Miss Diva has been promoted by India Yamaha Motor (IYM) Private Limited, which provides a platform to bring together new talents into the fashion fraternity. Since 2014, Yamaha is supporting the pageant in the capacity of the Title Sponsor. The much-awaited auditions will begin across various cities from June 24, 2018 onwards. The auditions will be judged by a set of fashion industry veterans who will shortlist talents based on general intelligence in presentation, grooming and fashion. The initial rounds will be designed and judged on multiple parameters ranging from ramp walk, presentation and grooming, communication skills, etc. The final round of auditions and selection will take place in Mumbai followed by city tours to gain publicity. All the finalists will get an opportunity to get personalised grooming and training sessions by renowned experts. 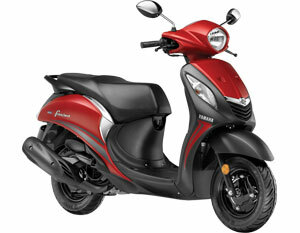 Yamaha is pleased and excited to announce the commencement of Yamaha Fascino Miss Diva’s fifth edition. With this initiative of Yamaha, the brand aims to honor and support the women of today who are soon going to represent the country across the globe. In the past, names like Asha Bhat and Srinidhi Shetty have represented India and won the international title Miss Supranational in 2014 and 2016 consecutively, while many other participants and title winners have already set their benchmark for stunning assignments in the entertainment and fashion industry. As a global brand, Yamaha drives people’s dreams with passion by offering exciting product or concept that creates exceptional value and deep satisfaction (Kando). Yamaha’s Fascino emphasized ‘Fashion’ as part of the dream to own a personal mobility. While remitting the scooter to fashion, thus connecting Indian ‘scootering’ with that of the world, it was found that women selecting fashion as a choice of career is much unexplored in India. That’s when Yamaha felt to support the beauty pageant as the title sponsor so that it could encourage many young talents to step in to the career of fashion. Alongside, it would also connect scooter buyers with the cult of fashion by creating a new organized trend in ‘scootering’.